Kirin Beer Factory Tour: Free Beer! Free Tour! This is going to sound unbelievable, but it’s true! If you go on the Kirin Beer Factory Tour they give you free beer and snacks at the tour. I happened to be in Sendai with a very loose schedule and I was looking for something to do. Upon researching TripAdvisor, there was a Kirin factory the did tours. When I was in Sapporo I had to go on the Sapporo beer factory tour and while I was in Okinawa I did visited the Orion beer factory. I didn’t know how much the tour was going to be. When we registered for the tour, they didn’t charge us. I thought this was because the workers at the registration desk didn’t speak English…but later I found out it’s because the tour is FREE! 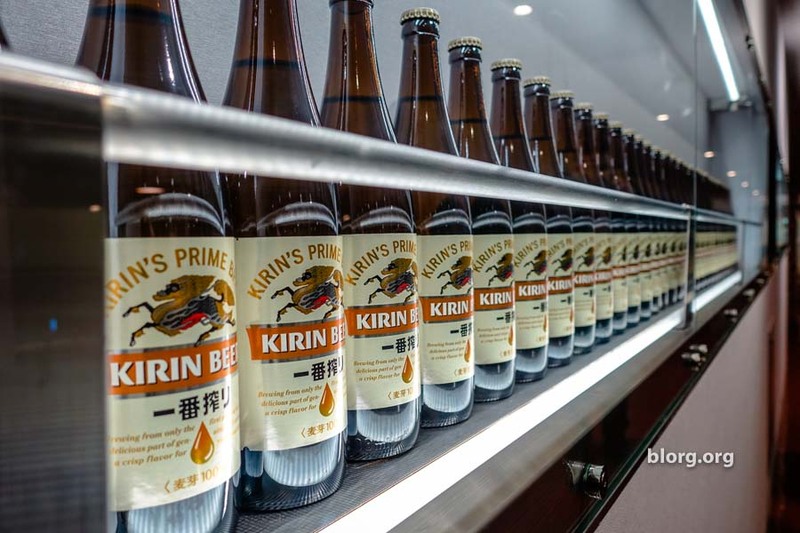 There are several Kirin factories throughout Japan with tours available. The most important part: When the tour was over, they invited the tour group to the tasting room for samples and snacks. They had 4 different Kirin drafts on tap. There was no limit on how many you could have. The only limit was that you had 30 minutes for your group before having to leave. Not a problem. Only this many in 30 minutes. After being asked to leave, there’s a free Kirin shuttle bus to the nearby JR station.